Oil prices fell sharply on Monday after Greece rejected debt bailout terms and as China rolled out emergency measures to prevent a full-blown stock market crash, adding to worries about poor demand growth at a time of global oversupply. The result of Greece’s referendum has put in doubt its membership in the euro, pulling down the single currency (EUR=) against the dollar. A strong dollar tends to pressure commodities as it makes fuel more expensive for holders of other currencies. Commodities were also sucked into market turmoil that has seen Chinese shares (.CSI300) fall as much as 30 percent since June due in part to an economy that is growing at its slowest pace in a generation. Chinese brokerages and fund managers have agreed to buy massive amounts of stocks to support markets, helped by China’s state-backed margin finance company, which in turn would be aided by a direct line of liquidity from the central bank. “Uncertainty over Greece is bearish for oil. 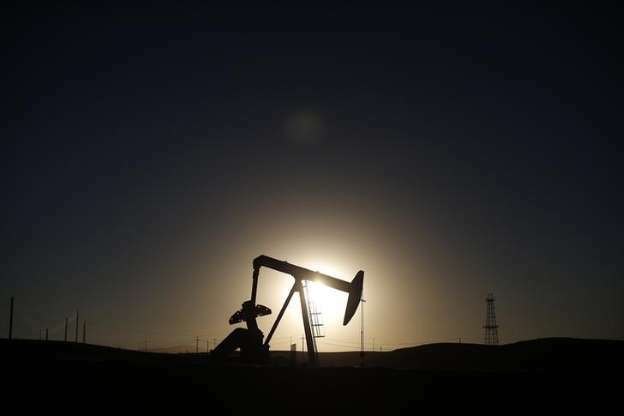 It adds an extra negative factor on top of the turmoil in Chinese financial markets, the recent rise in U.S. drilling rigs, and a potential increase in Iranian oil supply,” said Olivier Jakob, senior energy analyst at Petromatrix in Zug, Switzerland. “The main implication is for euro/dollar and I think it will put additional pressure on the euro,” he added. Benchmark Brent crude oil (LCOc1) fell $1.42 a barrel to a low of $58.90 before recovering a little to around $59.00 by 0925 GMT. U.S. light crude (CLc1) fell as low as $54.34, down $2.59 from its close on July 2. July 3 was a U.S. holiday. The falls left both crude benchmarks at their lowest since mid-April. With markets already nervous due to the turmoil in Europe and China, fundamentals were also bearish. U.S. drilling increased for the first time after 29 weeks of declines, the strongest sign yet that higher crude prices are coaxing producers back to the well pad. Production in Russia and the Organization of the Petroleum Exporting Countries is also at or near records. “Demand is good, but supply is better,” said Bjarne Schieldrop, chief commodities analyst at SEB in Oslo. Putting further pressure on oil markets is a possible nuclear deal between global powers and Iran, which could add more oil to oversupplied markets if sanctions are eased. “Reports increasingly suggest a deal is likely before July 9,” Morgan Stanley analysts said in a report.